According to a study released February, 2012, by the UNAM (Mexico’s largest and most prestigious university) a common laborer has to work 13.38 hours to earn money equivalent to the canasta básica, or minimum nutritional and caloric food basket. This hourly figure is up from 9 hours of work required in 2000. That means the average low-paid worker must labor 68 hours a week to supply the minimum for his family. For the most basic of foods: rice, sugar, beans, coffee, milk, cooking oil. Never mind rent, clothing and transportation expenses. The report goes on to say that from 2000 to 2011, Mexicans lost 24.42 percent of their purchasing power. Fifty-two percent of the working population earns from one to three times the minimum wage a day. The minimum wage varies slightly in different regions of the country, but generally hovers around 740 pesos a month. That’s about $58 a month. If you are fortunate enough to earn three times the minimum wage, your monthly earnings total $174 a month. Most factory workers in the Mexico City metro area, including some close friends in the church, are making four to five times the minimum wage. Even so, they are fortunate to earn $500 a month. A gallon of milk in Mexico costs 44 pesos, or $3.75. Of course, there is a huge disparity of wealth in Mexico. The world’s richest man, Carlos Slim, is Mexican, and affluence seems to be the norm instead of the exception in many of the urban centers in this country. The gap between the haves and the have-nots is abysmal here, and not likely to improve anytime soon. Machiavelli’s philosophy might not be understood everywhere, but it has been elevated to an art form here. The rich and powerful will always be rich and powerful. Only fools give away privileges. Only the weak are merciful. Jesus had it all. A mansion with a view. Constant, adoring friends. A sprawling masterpiece of a universe. He experienced perfect, loving community with the other members of the Godhead. He had an awesome retirement program, and a sterling reputation. But he saw something that broke his heart, and changed the course of history. He looked down and saw me hungry. You were beside me. There was lostness reflected in your big eyes, and my stiff mouth belied a lack of hope and an absence of love. We were orphans, you and I, and there were tears in our eyes. One day we looked up, and the Almighty took note of our plight. He would come, and become us, and adopt us, clothing us in a purple robe that was ripped off of him at the cross. The weak are not merciful. Fools are not strong enough to sacrifice. Only those recognizing the vanity of living for these brief tabletop moments are strong enough to give what they cannot keep in order to gain what they cannot lose. That person is no fool. 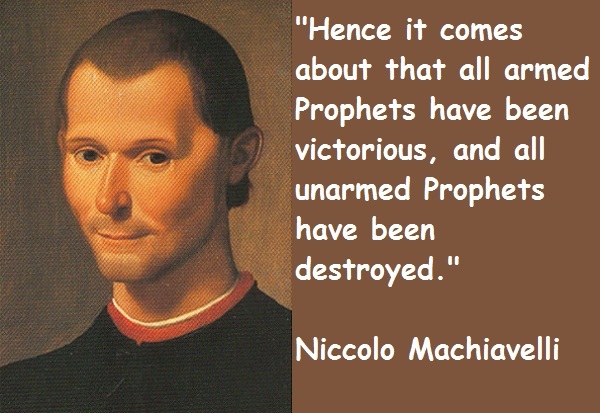 Machiavelli…you were wrong. Unarmed prophets are taking over the world…one life at a time. This was an aspect of Mexico that crushed my heart. So many people struggling so hard simply to survive. Ruby Payne’s description of people in poverty is lived out wholeheartedly in that the people we met there who had so little were quick to share all they had. Maybe if more people in the US had less, they would give more.